Do you want to wake up looking amazing? Get out of the shower with perfect lashes and eyebrows? Cut down on the time that it takes you to get ready in the morning? Then eyelash and eyebrow tinting are the perfect treatments for you! Eyelash tinting takes your eyelashes from their natural color to a darker and richer shade. theSanctuary uses a vegetable-based dye to achieve this color change – this dye is safe for use around the eyes. 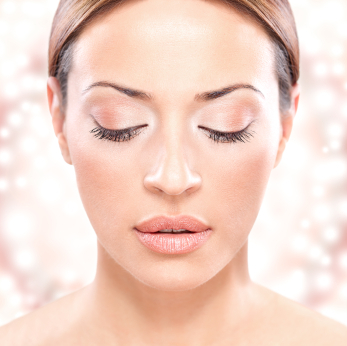 The eyelash tinting process, which takes approximately 20 minutes, makes your lashes look fuller, darker and longer. Eyelash tinting is perfect for contact lens wearers, as they can avoid the irritation that often occurs from mascara particles getting into your eye. It is also ideal for sports enthusiasts and swimmers – they won’t have to worry about mascara smudging or running due to water or sweat. Lash tinting is also perfect for vacationing – it provides a worry-free and glamorous look! This treatment last up to 6 weeks. As with eyelash tinting, eyebrow tinting takes your natural eyebrow hair and transforms it into the eyebrow color that you are seeking. Eyebrow tinting is perfect for hiding any grey or white eyebrow hairs. It can also be used to accentuate the shape of lighter brows by darkening and defining them or lightening darker brows to match dyed blonde hair. Eyebrow tinting provides you with eyebrows that match your hair color and also adjusts the arch and shape of your brow to help you to achieve the perfect eyebrows that you have always desired. The result is always clearly defined, long-lasting eyebrows. This treatment also last up to 6 weeks.